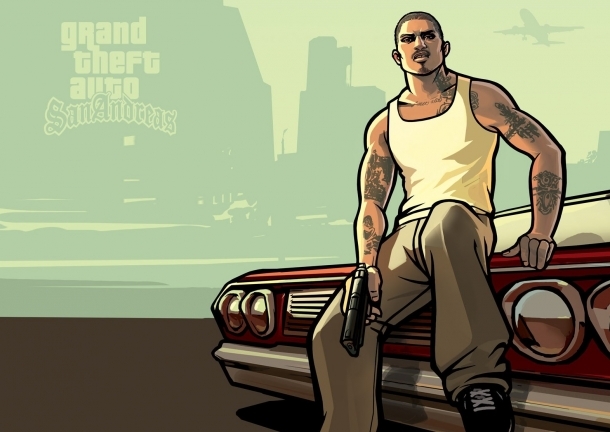 Grand Theft Auto: San Andreas - Loco Low Co.
Loco Low Co, which is located in Playa Del Seville, Los Santos, is unlocked after completing the "Cesar Vialpando" mission. 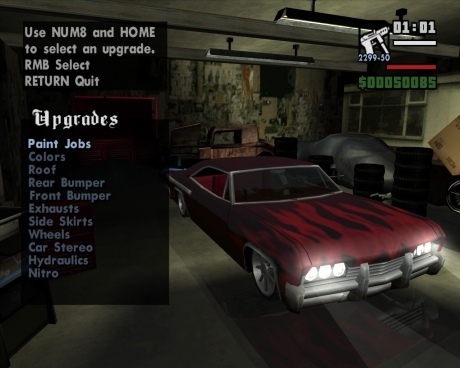 It is the only place where you can modify lowriders, which are as follows: Blade, Broadway, Remington, Savanna, Slamvan, Tahoma, Tornado, and Voodoo. Since each vehicle can have different prices for its modifications, each one will be listed separately, along with their mods and prices. Each vehicle can have their base color changed for $150 (some have the ability to change the color of other parts for an additional $150), as well as have hydraulics installed for $1500. 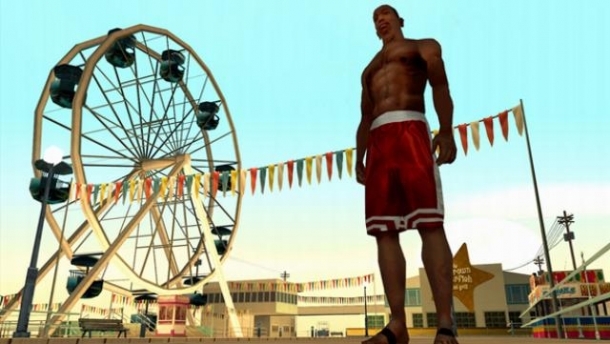 Also, every vehicle has the same set of wheels, except for the Tahoma and Voodoo.